Happy New Cigar Year. Welcome to the start of the 2018 Cigar Year on Cigar Coop. As we start this new cigar year, there is a host of activities here on Cigar Coop. This year’s Cigar of the Year Countdown will start Tuesday, December 19th, 2017 and end on Friday, January 19th, 2017. While we are no longer using December as the month to unveil the Cigar Coop countdown, we are returning back to the “30 Cigars in 31 Days” concept – which is how we originally did it when launched in 2017. The reasons for the move allow for further evaluation and ranking of the cigars following the close of the 2017 Cigar Year. Last year, we delayed the start of the Countdown due to the extra time needed to build the list. The delay proved to be a good thing as the extra window allowed a better job to be done during this activity. Last year we stretched out the Countdown to eliminate weekends and holidays. The feedback we got was that the Countdown was long enough, so it returns to a 30 Cigars and 31 Days Concept. 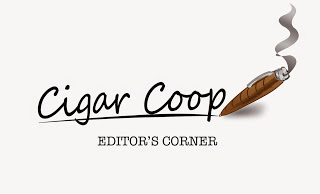 January will see the Cigar Coop Year End Awards announced – and there will be more details coming on that in the upcoming weeks. Last year, I hosted an impromptu Facebook Live Session with Stace Berkland where we put together a preview of how we thought the Cigar Aficionado Top 25 would go. While there was significant prep work put in, it was a very loose show from a production standpoint. The show was a huge success and drew some 3,000 viewers within the first 12 hours. This year, we are bringing it back as a part of the Prime Time Show. In this author’s opinion, Cigar Aficionado does a great job with their content, and the Top 25. Their influence in the industry is very strong. After all, what other publication has a hold on the industry it covers like Cigar Aficionado? Their list has become the de-facto industry standard. The entire Prime Time Team will break down the CA Top 25 on Episode 33. It will be the most comprehensive show of its kind, so you won’t want to miss it. The show is scheduled for Tuesday December 5 2017 at 10pm Eastern. As you probably saw, we have revamped the Stogie Geeks Ratings we were using to better suit the needs of Cigar Coop. What we have not talked much about was a revamped system has also been put into place for numeric scoring. The concept here is to bring down the overall average while widening our distribution range for scores. For the first time, we published a scoring breakdown for how a numeric score is obtained. We published this breakdown and will be expanding on this over the upcoming weeks.